The second part contains powerful techniques for working with your DNA encodements. Discover how this process works so that you can make great changes in your life. 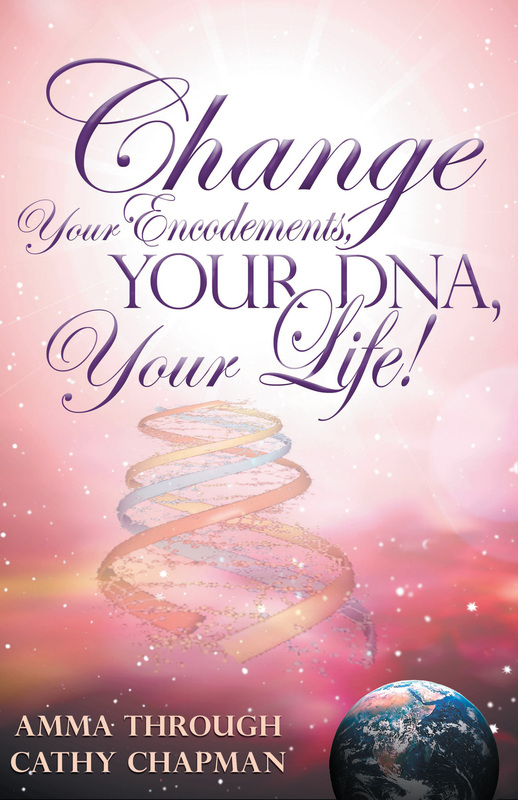 Encodements will help you to do what some would call miracles. The third part contains what some call predictions, which are nothing more than my reading and interpretation of the energy at the time when the energy was read. Predictions can be changed to have a more positive result—the point of my making predictions is so that you can change them. Dear one, each time you begin reading, I suggest that you do the following: Breathe in and out of your heart center and set your intention to tap into the energy of the message you are reading. Ask that you be given the secrets contained within the message and ask to be shown how to implement these secrets. The powerful knowledge you hold in your hands is dormant unless you choose to use it. Have fun exploring. As you read, I will have one hand upon your heart and one hand touching your mind. I am Amma, the divine mother of divine mothers, and I am your mother. Submitted by Mary Wallace on Wed, 12/03/2008 - 13:56. Submitted by Tom: Issaquah, Washington on Sun, 01/11/2009 - 11:54. Finally a book that tells me how to do things that I really can do. I have just started changing my encodements. I have moved from living in my head to living in my heart. I have never been able to find joy in my life (largely to depression) but now I have it. Its like I have finally found myself. I am able to experience who I really am. I am very grateful. Submitted by Anonymous on Tue, 08/12/2008 - 11:53. If people could take encodements seriously, maybe life in the 3rd dimension would be different. I think encodements need to be discussed openly so everyone has a chance to understand how they work so as to grow into his/her greatest potential thereby not only living a fulfilling life but one that enhances all aspects of being. Perhaps encodements is the real "secret" that so many are seeking.